Lynne M. Baldauf | Albany Elder Law Lawyers Burke & Casserly, P.C. 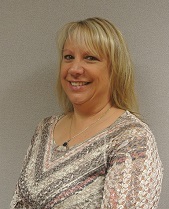 Lynne Baldauf has been the financial coordinator at B&C since July, 2000. Lynne is responsible for all a/r, a/p, payroll and other bookkeeping related duties as well as providing the firm administrator and partners with all necessary financial reporting and assisting with the firm’s financial analysis. An avid horse enthusiast and overall animal lover, Lynne and her husband live in East Berne with a barn full of horses and ponies!